Aus den fachkundigen Händen der matinee Hausfrauen, werden wir Inspiration, Erinnerungen, Bauerngeschichten und populäre Lieder ziehen. 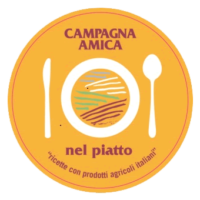 Wir organisieren Workshops für Pasta, Marmeladen, Pappmaché, Eile und vieles mehr. Hören Sie sich alte Erfahrungen von verlorenen und ausgedienten Handwerkern, Bauern und Geschäftsleuten an, lernen Sie von ihrer Geduld und nehmen Sie den Teil von Salento wahr, der in ihren Gewerben versteckt ist. Verpassen Sie nicht den Termin mit unseren Labors. 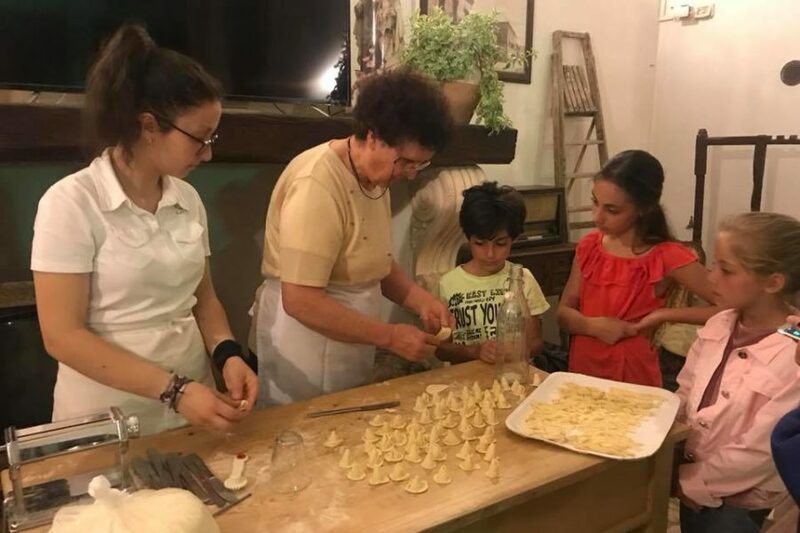 In "A Locanda Tù Marchese" are waiting for you with our grandmother Tetta to LEARN TO MAKE ORECCHIETTE, at our km0 trattoria, to learn everything you wanted to know about the art of Orecchiette: from dough with semolina and hot water , to the secret of transforming a shapeless piece of dough into the famous orecchiette and more. 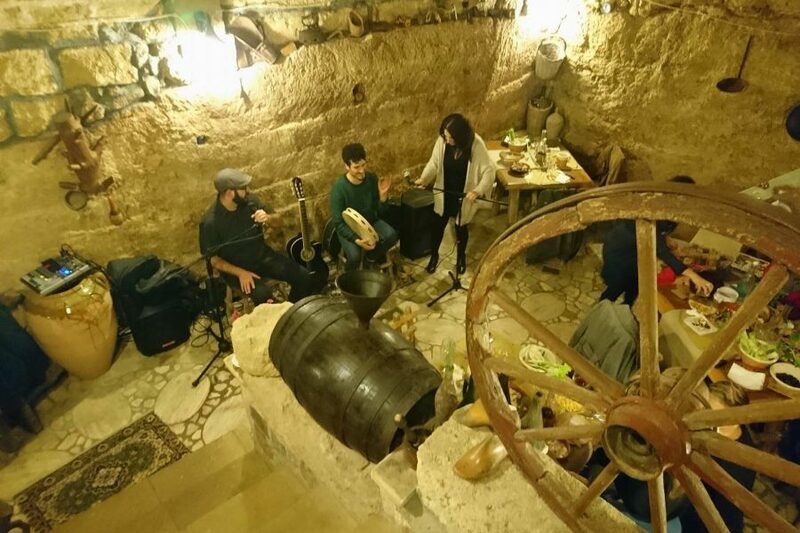 At "A Locanda Tù Marchese" B&B and restaurant in Matino, near Gallipoli we organize WORKSHOPS OF PIZZICA, at our tipical family restaurant, where dance teachers and tamburellists will teach you how to dance Pizzica Pizzica and tell you the story of this ancient dance. 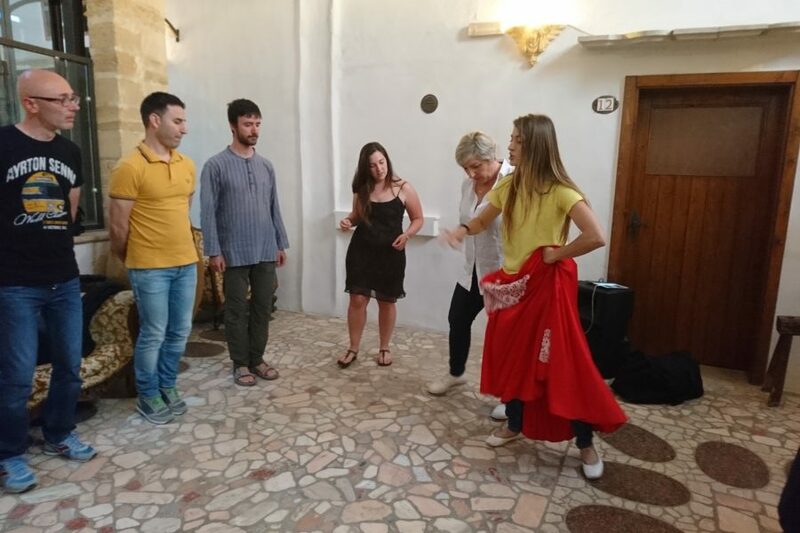 Pizzica dance workshop is organized in Matino at "A Locanda Tu Marchese", an historical building in the centre. For a very particular experience in south Italy, choose our Locanda, we have a lot of other workshop.